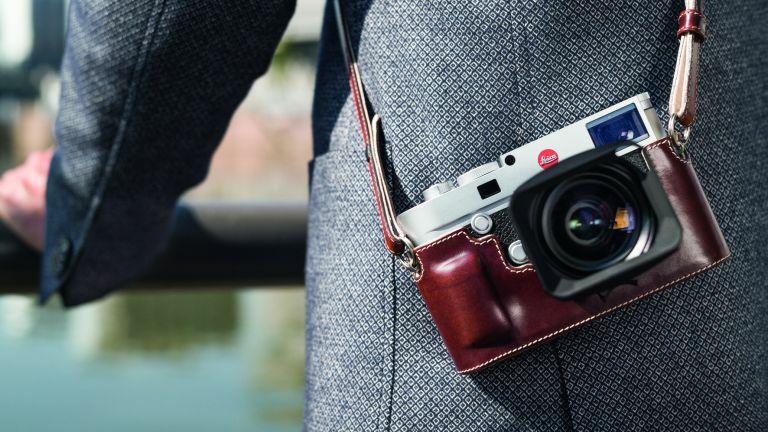 Last week Leica unveiled the latest model in its flagship M range - the Leica M10 - and the German company believe it represents a milestone in the M portfolio. Although many functions of the camera have been improved, Leica has kept a focus on photography and the essential principles of an M camera. There are no distractions in this camera, no video, no touchscreen, it’s simply the ultimate photographic tool. Leica’s M range has always been known for its impressive image quality, and the Leica M10 takes that to a whole new level. The M10 features a completely new CMOS sensor which has been developed for this camera. Leica has focused on improving the sensor’s dynamic range, contrast rendition, sharpness and fine detail resolution. It’s been paired with the latest Maestro II processor, and there’s no low-pass filter over the sensor so fine details will be kept in tact. The ISO range has been increased, now ranging between 100 and 50,000, with higher ISOs more usable than before. Leica has streamlined the process of taking a picture. The rear of the camera features just three buttons (Play, Live View, Menu) and a joystick. Settings can be prioritised in the configurable Favourites Menu. There’s also an ISO dial on the top plate, which allows you to set all shooting parameters (focusing, aperture, shutter speed and ISO) before even powering on the camera. Ever since the Leica M turned digital the cameras have been a tad portly. The Leica M10 has lost some weight, with a top plate depth of just 33.75mm. That’s four millimetres less than its predecessor, the Leica M (Typ 240). It sounds like a small difference on paper, but it makes a big difference in the hand. The M10 features Leica’s latest Maestro II image processor, making it the fasted M camera yet. The camera has a large 2GB buffer memory, allowing continuous shooting at up to five frames per second at full resolution. Every camera should have Wi-Fi, it makes transferring images to your smartphone and posting them on social media so easy, and now, thankfully, a Leica M camera does. The Leica M-App allows the direct transfer of RAW DNG files, and M10 can be remotely controlled from the mobile device as well.